If you would like to use this for your commercial/professional ventures, please purchase a commercial use license here. For your records, be sure to include the name of the font you are purchasing the license for. 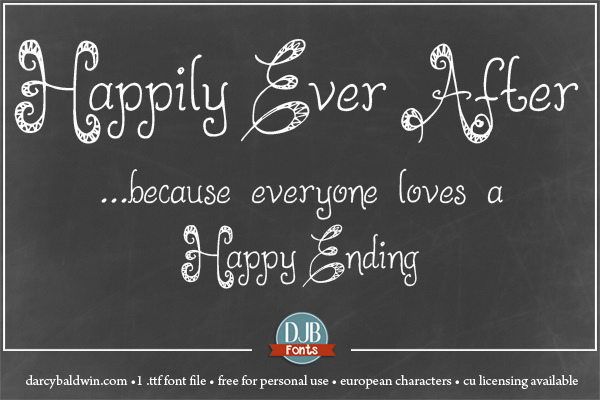 If you do purchase a commercial license for this font and wish to receive the webfont, please contact me at djbfonts at gmail dot com. Hey Teachers – you can download the personal use font from Teachers Pay Teachers here! 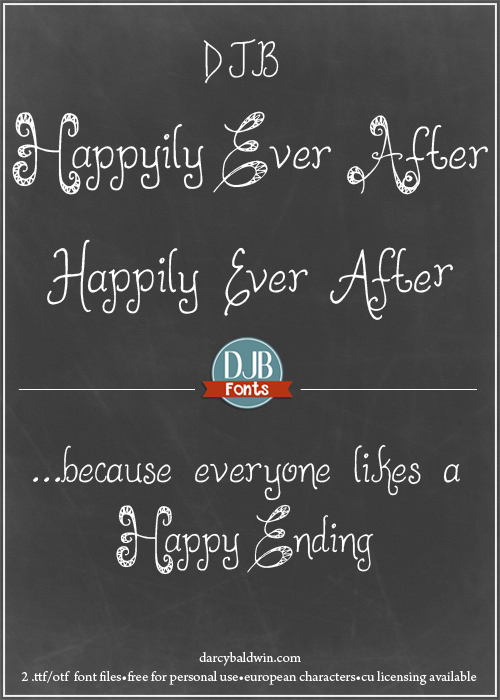 Pin It to add DJB Happily Ever After Font to your free fonts boards! If you sell any merchandise using a font of mine, you'll need a commercial use license which you can get here>>> Check out the details here. Unfortunately, I cannot control the ads that Google shows you. If one says DOWNLOAD HERE - DO NOT HIT THE DOWNLOAD BUTTON. I wish I could remove it, but I can't. Thanks for understanding. Get New Releases Delivered into Your Inbox! Is there a ttf available for this?